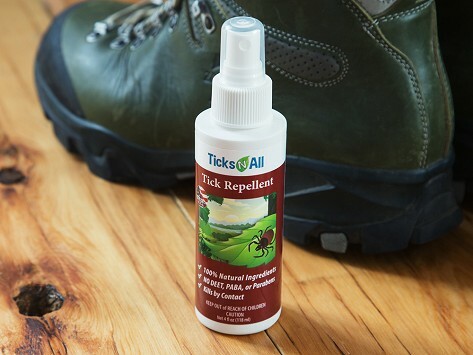 Non-toxic tick prevention for people which uses organic oils to ward off those stubborn pests. Castor, sesame, rosemary, citronella, and other oils work to keep ticks at bay without using any DEET, parabens, or harsh chemicals. Spray it on before you head outside. It works to help soothe bites and stings, too. Made in the USA. The non-toxic repellents are all Made in the USA and are formulated with organic oils like castor, geranium, rosemary, thyme, and peppermint. Purposefully left out of the sprays are parabens, DEET, and harsh chemicals. The sprays are each specifically formulated for people, cats, and dogs. Give yourself (and the kids and pets) a spray-down before heading outside for a layer of natural protection. The natural ingredients can help soothe skin if you get bitten, too.